The young Queen Bitterblue impressed me almost as much as Katsa did. Despite her naivete and age, she possesses a determination that drew me to her immediately. Her leadership and people skills blossom throughout the novel, and by the end, I was proud of her character growth. How is Cashore able to dream up so many amazing heroines? 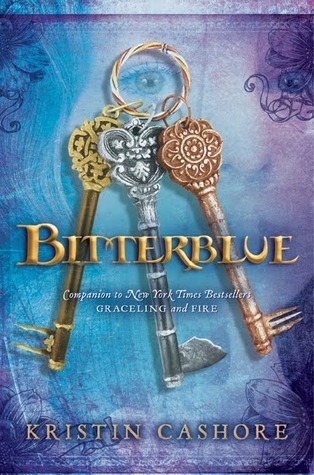 It would probably be beneficial to read Graceling and possibly Fire right before starting Bitterblue, because the story picks up right where the first book left off. Since I read Graceling almost five years ago, I struggled to remember some of the finer details. Eventually I was able to figure things out. The plot is very complex, meaning this isn't an easy read. Prepare yourself for a story of intrigue, deception, and politics. Cashore even tones down the romance to make more room for Leck's legacy in Monsea. The ONLY reason I didn't give Bitterblue a higher rating is that the book dragged a little bit. At 563 pages in length, this is no quick read. At times, Bitterblue's unanswered questions become a little repetitive. It felt like the story was barely moving. Thankfully, things eventually picked up again. This is a tiny criticism, and I would still recommend the book to any fans of the series. As I said before, there is less romance in this book than the other three. However, the little bit of romance that does exist is captivating. Saf and Bitterblue have wonderful chemistry, and there are definitely some swoon-worthy moments. Po and Katsa's romance also gets a little bit of stage time, which made me beyond happy. Overall, Bitterblue met all of my expectations. Cashore has created yet another brilliant fantasy. 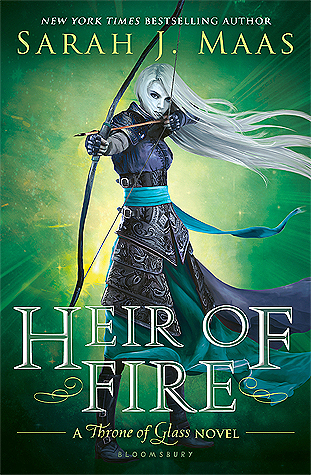 Based on the success of this series, I'm willing to devour anything Cashore writes. She obviously has a gift for story-telling. To be honest, I'm a bit sad I've finished the series. I'm going to miss all of the characters! If I find out the series isn't over, I'll be thrilled.